Thank you Prime Minister Lee Hsien Loong! 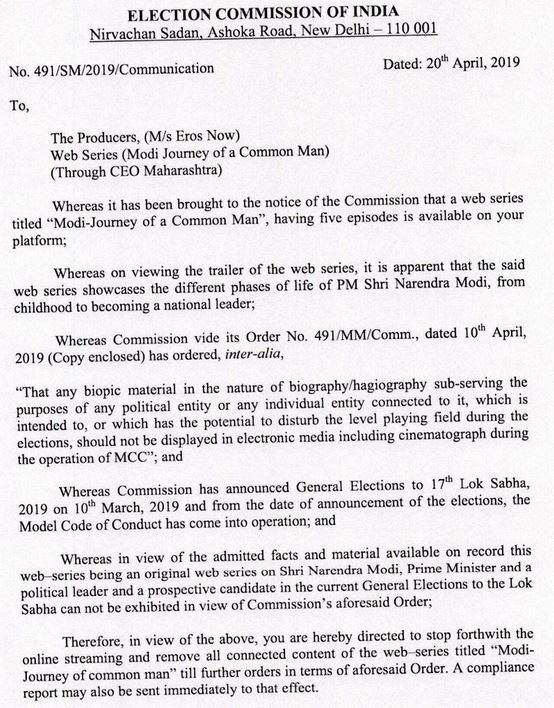 EC orders Eros Now to take down web series on Prime Minister Narendra Modi. Don't miss: Conservative Brexiteer Boris Johnson has nabbed a much-sought-after office in the House of Commons as allies talked up his chances of becoming the next Prime Minister. The #Congress has been attacking the prime minister for "promoting crony capitalism and favouring his industrialist friends"
Report: A day after Prime Minister Narendra Modi defended Pragya Singh Thakur's candidature from Bhopal Lok Sabha seat, she said that those who refer Hindutva as terrorism are anti-nationals. #Lesotho Chief Khoabane Theko says Prime Minister Thabane has breached constitution by allowing his wife to run government, he must step down. Ukraine may elect its first Jewish president tomorrow, making it the only country outside Israel to have both a Jewish president and prime minister. Does that mean anti-Semitism of yore is fading?